The charismatic monk Medardus becomes implicated in a deadly mystery against his will. As he travels towards Rome he wrestles with the enigma of his own identity while pursued by his murderous doppelganger. The monk’s only hope for salvation lies with the beautiful Aurelie; but in order to escape the curse which lies over his family, he must evade the sinister powers of the living and the dead. In this lively and disturbing gothic tale, Hoffmann combines elements of the fantastic and the sublime to analyse the seductive ambiguities of art and the deeply divided nature of the human imagination. 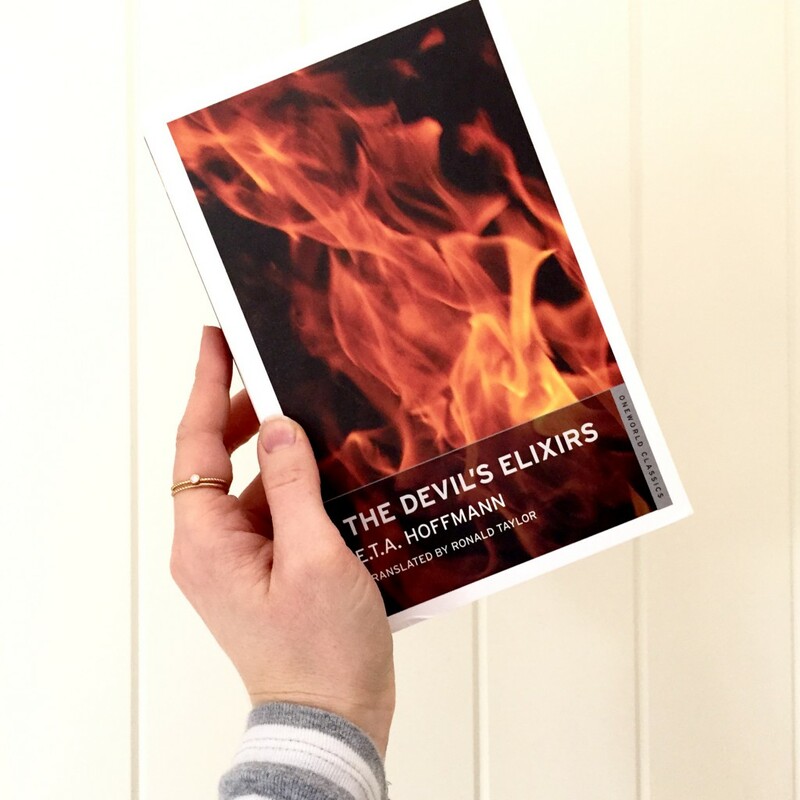 For my second book of the #2016ClassicsChallenge (hosted by the lovely Stacey of The Pretty Books), I chose The Devil’s Elixirs by E.T.A. Hoffman. 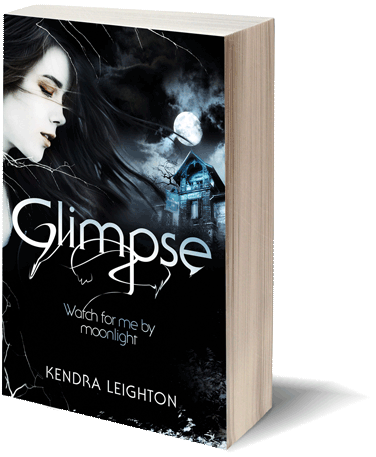 I’m using the Classics Challenge to explore Gothic classics — read more about that here. For my January challenge, I re-read Dracula, so for February I wanted to choose a book that was new to me. I chose The Devil’s Elixirs slightly randomly, based on a Wikipedia search back when I was first considering what to read for the challenge. Wikipedia claims E.T.A. Hoffman is the most famous German author of Gothic fiction, which intrigued me. Also, The Devil’s Elixirs was inspired by Matthew Lewis’s The Monk, which is one of my favourite Gothic novels. The synopsis made it sound wonderfully OTT, and it promised to include some of my favourite Gothic elements. E.T.A. Hoffman is famous for being a creative chameleon and for producing numerous works of music, writing, art etc. He’s considered one of the major authors of the Romantic movement. Sadly, I struggled with The Devil’s Elixirs. I nearly gave up on it so many times. I persisted with it, because a lot of classic novels start slowly, but this book and I did not get on. I’m proud I finished it, but if I had a time-machine I’d go back and pick up a different book! The Devil’s Elixirs is about a monk who drinks ‘the Devil’s elixirs’ of the title, and is thereafter plagued by all kinds of temptations. His downfall begins when he leaves his monastery in pursuit of a beautiful girl, and soon he’s seducing women and murdering people all over the place. He has to keep moving to prevent his crimes catching up with him, but though he (mostly) evades the law, his crimes follow him in the form of dopplegängers — insane versions of himself who make him question his own sanity. Can he drag himself out of his cycle of sin and return to the monastery? As a plot summary, that sounds pretty exciting, but it didn’t grab me as much as I expected it to. I did enjoy parts of it, mainly the dopplegänger aspect, but the pacing felt off. Long pages would be dedicated to a description of the main character getting a haircut, for example, then he’d seduce someone and murder two people in the space of a few paragraphs. I never came to care about the main character, because he didn’t feel real — many of his decisions and actions felt nonsensical. Classic fiction can’t be judged by today’s ideals, but a modern editor would have a field-day with The Devil’s Elixirs. I also found the prose in The Devil’s Elixirs especially dense, though I’ve read a lot of classic fiction. It is translated from 1815 German, so it has an excuse, but I had to concentrate all the time I was reading. Having said all that, I can imagine The Devil’s Elixirs being a book I might have enjoyed more if I’d studied it at university — I’ve always found I appreciate some classics more once I understand their nuances. I might google it a little and see if that helps. The Devil’s Elixirs isn’t a big-name classic, but it is still in print two hundred years after it was first published. I imagine it will stay a classic. People who want to read for academic interest rather than for fun. Though I’m sure there are those who love The Devil’s Elixirs and would disagree! So, not a great choice for my second #2016ClassicsChallenge book! Hopefully March’s classic will be more enjoyable. I’m planning to pick up Uncle Silas by Joseph Sheridan le Fanu.